← Happy New Year! Wow, what a great 2011 Titan Power had! 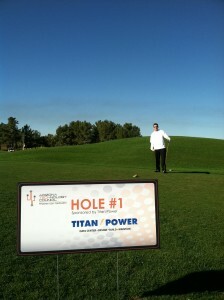 Titan Power was proud to be the “Golf Ball Sponsor” for this year’s 3rd Annual Arizona Technology Council Golf Tournament. As the “Golf Ball Sponsor,” our logo was printed on all golf balls given out to players at the beginning of the tournament. Each player also received a sleeve of Titan Power golf balls in their tournament gift bag. The tournament was a scramble format with a shut gun start at 8am on February 9th, 2012. 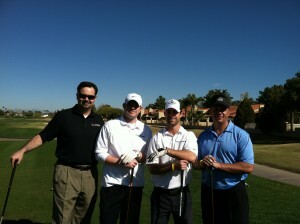 Both members and non-members of the AZ Tech Council were invited and a total of 100 players attended the tournament. The AZ technology Council is a non-profit trade association founded to connect, represent and support the state’s expanding technology industry. To promote economic growth and professional development in Arizona’s technology sector, the Council provides members networking opportunities, business support and access to educational forums. The Council strives to distinguish Arizona as a leader in the technology community and offer resources that are exclusive to its members. This association produces over 100 events each year that drive networking, promote continued education, and offer opportunities for new business growth for our members. This entry was posted in Arizona Technology Council, Company Misc., State of Arizona, Technology Industry, Titan Power and tagged Arizona Technology Council, Organization, Technology Industry, Titan Power, Titan Power Inc. Bookmark the permalink.